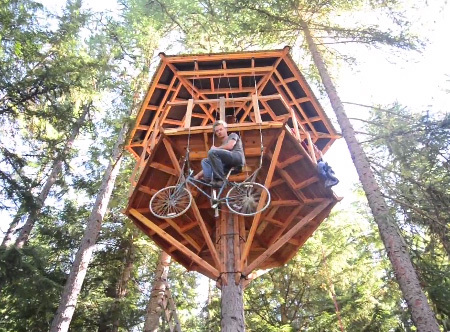 Ethan Schlussler converted old bicycle into a human powered elevator that provides access to his tree house. 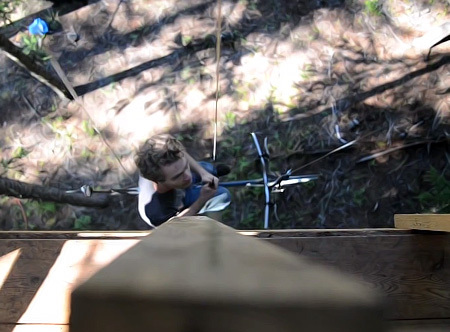 Bicycle powered elevator goes up 30 feet with the help of a pulley system made out of strong cables and a heavy counterweight. 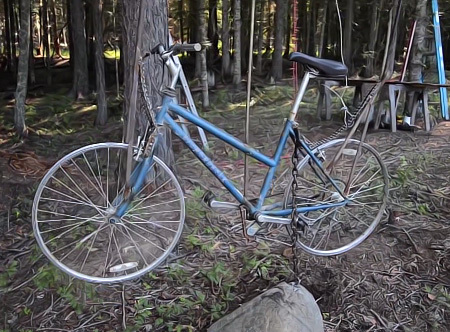 When not in use, innovative bicycle elevator is anchored by a chain. 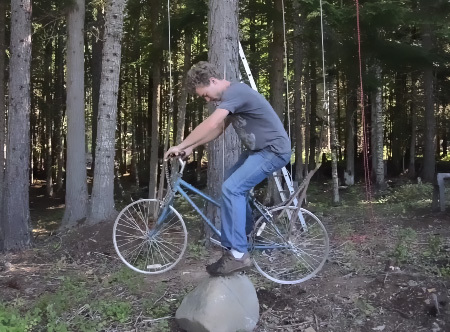 Instead of using regular ladder, Ethan can now simply pedal to the top. But how many people do you know who live in an elaborate tree house? For those who do, this is impressive, but maybe for loners only. 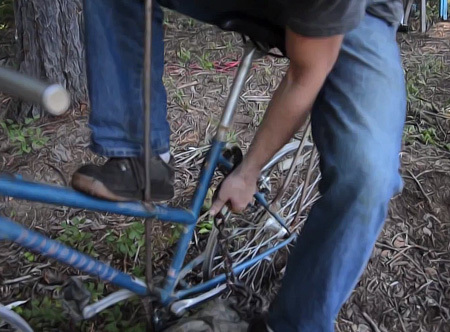 If you accidentally untethered the chain to the bike, the bike would go up by itself because of the counterweight on the other side, HOW can you go up without the bike? 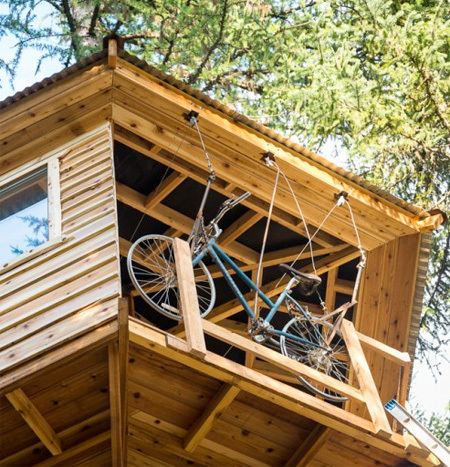 I guess the tree house was not built using the bike, so I guess, he has a ladder or other ways to climb up… not cooler maybe, but he must have. Looks like something your insurance company would drop you for using. LOL. 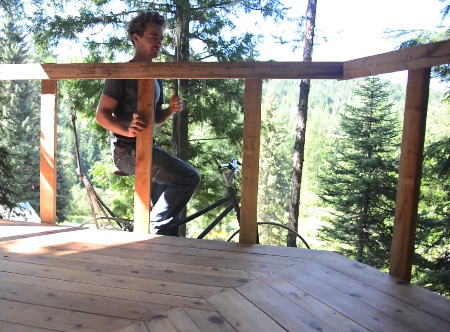 Great if you have a $20,000 tree house.